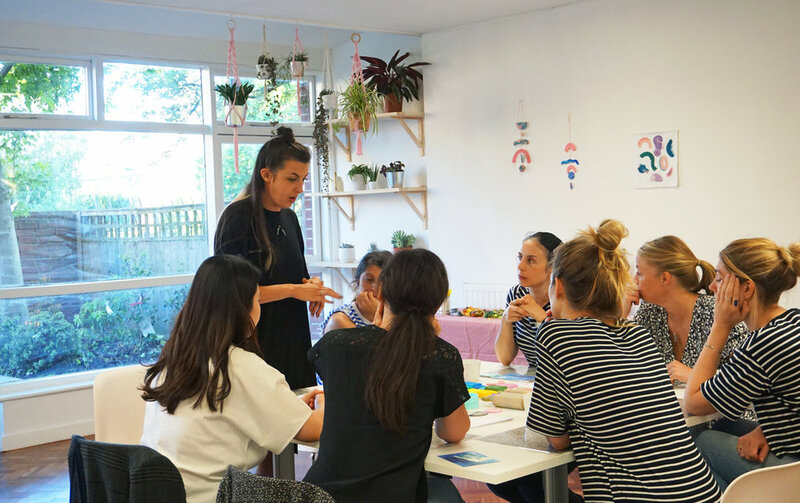 Holdspace is a welcoming event space in Central London dedicated to wellness and creativity. The space can be hired privately for any event. Browse upcoming classes and events below. If you're enquiring about availability for space hire, see bookings calendar for the year ahead here and get in touch. Photographer credit: Holdspace, Maria Lodetoft Usai, Bruna Casotti. Holdspace is located in Angel, at the bottom of Chapel Market. It is just a short walk from Angel station (6 minutes) and Kings Cross (14 minutes). Holdspace is a multi-functional space. It can be used for floor based hires such as yoga, movement classes such as dance and can also provide tables and chairs set up for meetings or workshops. Get in touch with your specific needs and we will do our best to accomodate. 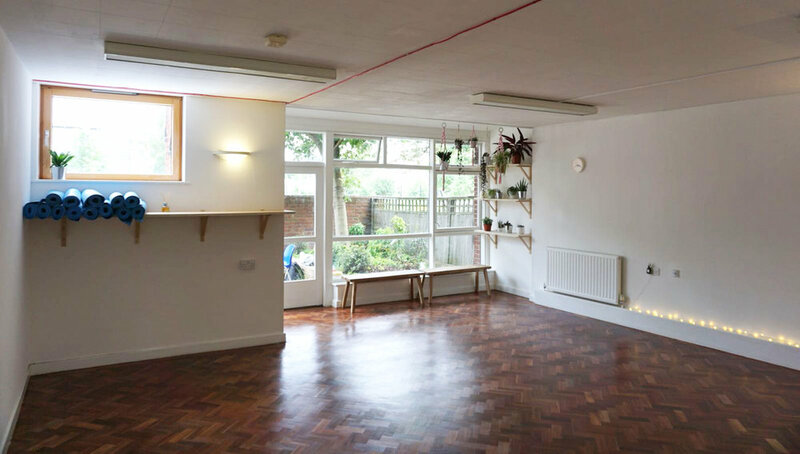 Holdspace is a welcoming blank space for anyone to hold an event, workshop or gathering. 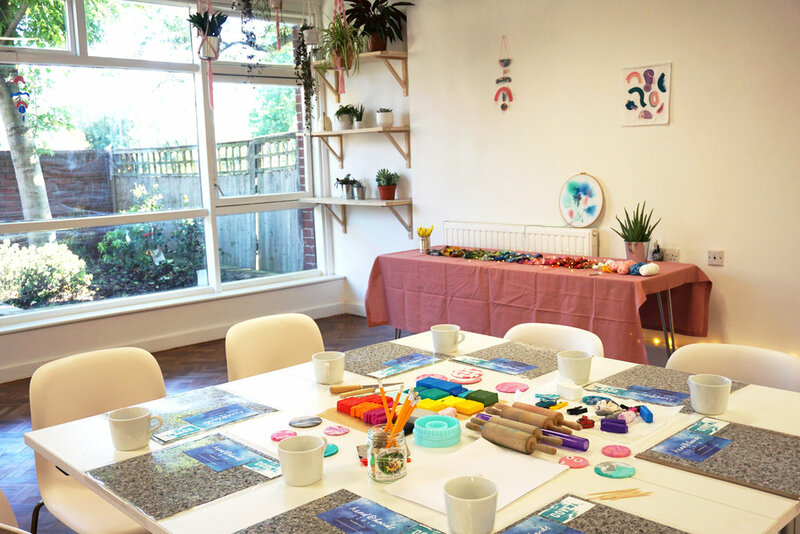 We promote wellbeing and creativity and welcome likeminded teachers, artists and facilitators to contribute to a diverse programme of activity. 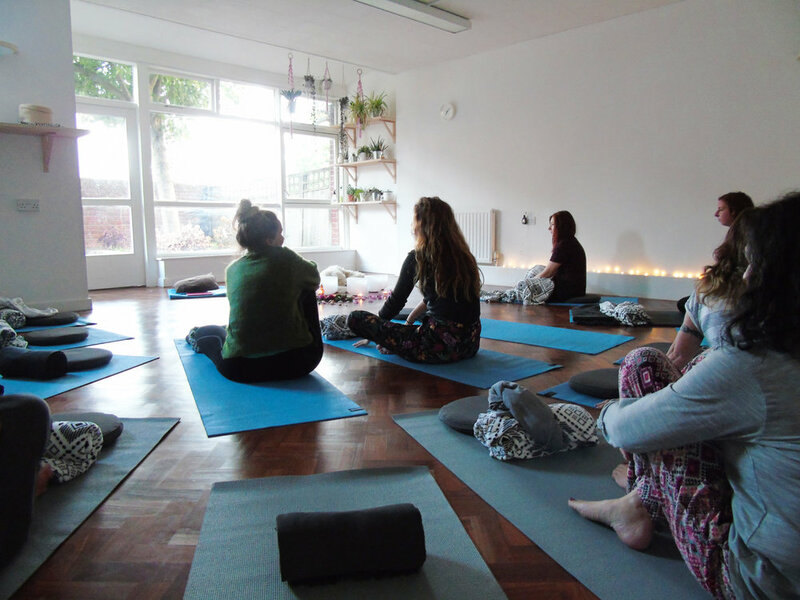 Every time you book a Holdspace hire, 10% will be donated to our community pot which enables us to offer regular free classes to the local community. The space is available to hire from 7am-9pm weekdays and 10am-8pm at weekends. To check availability, you can view the full year's bookings calendar here. If you're interested in hiring Holdspace for your event, please complete this initial enquiry form or email holdspace.london@gmail.com and we will be in touch with our information pack. Please note this is not a booking form. You will be sent a link to a booking form once you have received the info pack by email. Bookings are arranged on a first come first serve basis. The calendar for the year ahead can be viewed here. Please note this is not a booking form, this is an enquiry form. Once we have sent you the info pack - if you wish to book you will be required to submit a booking request form with more details. If you're looking for more than just space hire, and you'd like to collaborate on the planning and promotion of your event, we'd love to hear from you. The Holdspace Practitioner in Residence offers an affordable desk space for an art or wellness practitioner. In exchange, the practitioner is required to deliver some free or affordable ‘pay it forward activity’ to the wider Holdspace community. Pay it forward activity is about offering acts of kindness or service without payment. It seeks to benefit others by inspiring them to bring creativity and wellbeing into their lives and of others around them. This may be in the form of workshops, courses, talks or mentoring. We are looking for a new practitioner in residence from February 2019. Please see details of how to apply here.